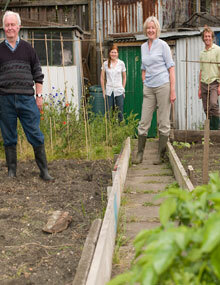 setting up an allotment project. To find your Regional Representative or Mentor please scroll down. Yorkshire: covering North Yorkshire, West Yorkshire, South Yorkshire, Parts of Humberside. Wales: covering the whole of Wales. Steve Clements has now retired as Regional Representative in the South East, we would like to thank him for all his hard work over many years. Calls to 0845 numbers cost 3p (ex VAT) per minute plus your telephone company’s Access Charge.